A second generation TCK, Ruth was born a US citizen in Nigeria and spent most of her developmental years in Africa. Growing up, she struggled identity and a sense of belonging and at times with depression. Over the last 30 years, he work has brought her to over 50 countries to hear TCK stories and raise awareness of this ’new normal’. In your book Growing Up Among Worlds, you coined the term CCK to expand on the definition of TCKs. How have you seen this cultural phenomena evolve over the last 15 years? Discovering the TCK term in the 1950’s was a transformative moment in my life. Ruth Usseem had coined the term and I worked with David Pollock and I worked to develop a profile for TCKs which led us to co-author Third Culture Kids: Growing Up Among Worlds. Further studies and discussions with TCKs soon revealed that cultural complexity was increasing with more cross-cultural kids coming forth and questioning if they qualified as TCKs or not. This posed a new problem: How do we discuss the larger dynamic that was going on in the world where some could relate and others weren’t sure? This led us to develop the CCK term - to continue the study of Third Culture / Cross Culture without ignoring the layers of complexity that come with identifying new sub-groups and sub-identities that make each story distinct and unique. Is a new term needed to describe the contemporary CCK? We have so much to learn from our own stories and so much to share with each other in hearing others’ stories. We may not share the same story but we share our humanity. I hope a new term will come out of this year’s TCK Summit! What do you see as some of today’s key challenges concern CCKs and/or their families? The cultural complexity of the TCK/CCK phenomena is increasing. Having spent the last 30 years studying and working in this field, I still believe there’s much more work to be done and this is only the beginning. 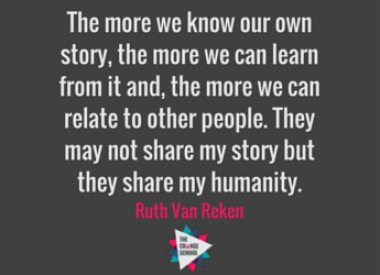 What have we learned from sharing our own stories? What do we take away from hearing others’ stories? How can we expand the conversation, with a broader perspective, to understand the global scope of this phenomena? The greatest challenges I see has to do with Identity. For example, some CCKs recognise that when others look at them, they don’t know who they really are due to their appearance or race. These individuals are often expected to be from one race or subculture but they are not familiar with that subculture’s idioms/jokes, etc. due to where they grew up. We need to further differential and understand external and internal definitions and concepts of identity. We've got alot of work to do, and we've only really just begun. 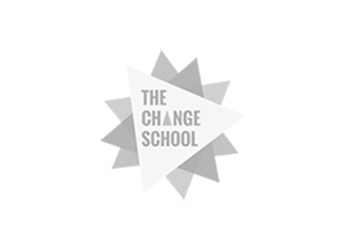 What do we learn from sharing our TCK experience? What do we takeaway from hearing the stories of other TCKs? Beyond the TCK story - What do we share? What is the essence of it?